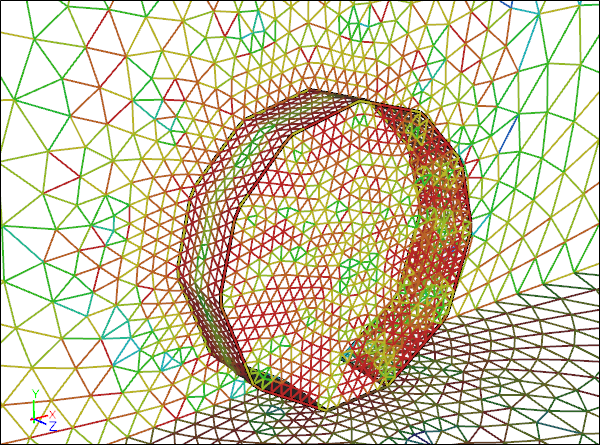 Let me explain why, given the option, you should prefer analytic geometry (e.g., NURBS) over faceted geometry (e.g., STL) for Computational Fluid Dynamics (CFD). 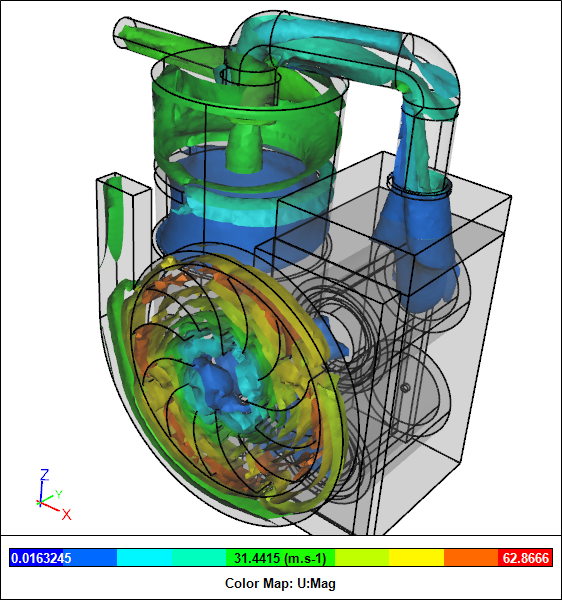 If fluid flow is a primary driver for your design project then Computational Fluid Dynamics (CFD) is likely to be a cost effective way to help meet your goals. You could outsource your CFD to consultants, but in the long run it usually pays to do it yourself. 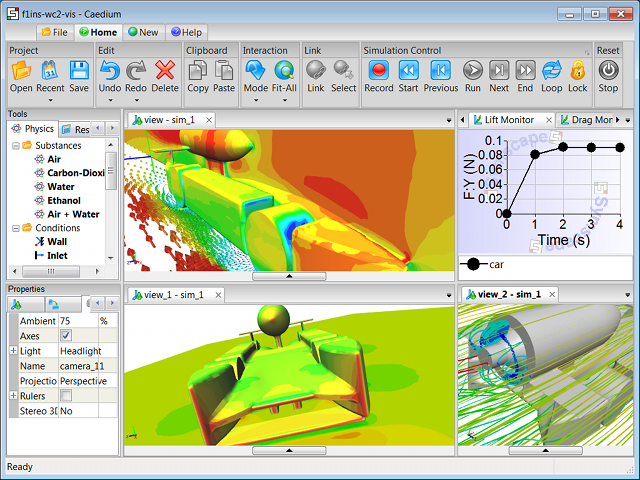 The Caedium Simulation Control Toolbar provides the controls to initialize and run your Computational Fluid Dynamics (CFD) simulations. 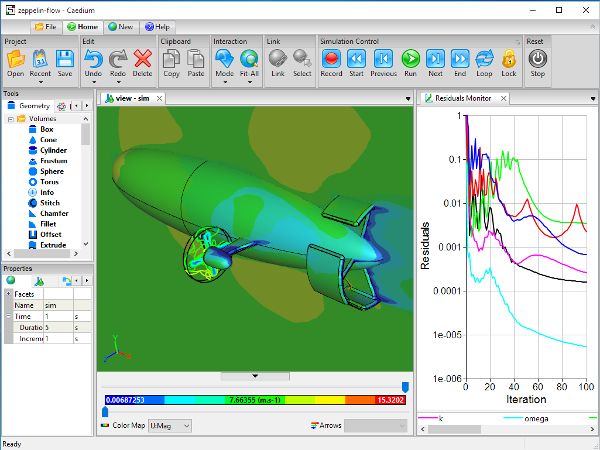 Take a moment to learn how to use these simulation controls effectively. 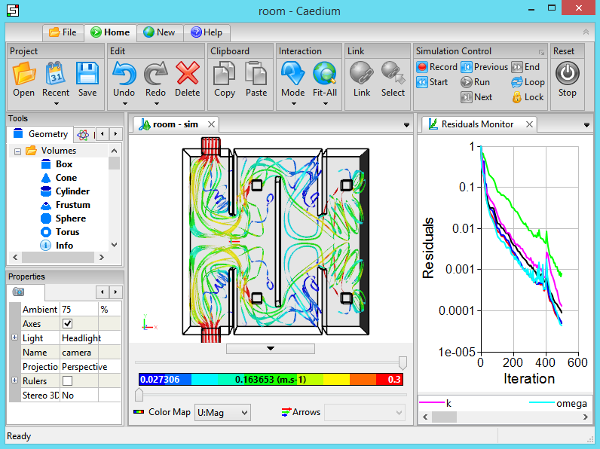 The Caedium Accuracy tool is largely responsible for determining the accuracy of your Computational Fluid Dynamics (CFD) simulations by imposing constraints on the underlying computational mesh or grid. Therefore, it's worth spending a moment to learn how the Accuracy tool in Caedium works. 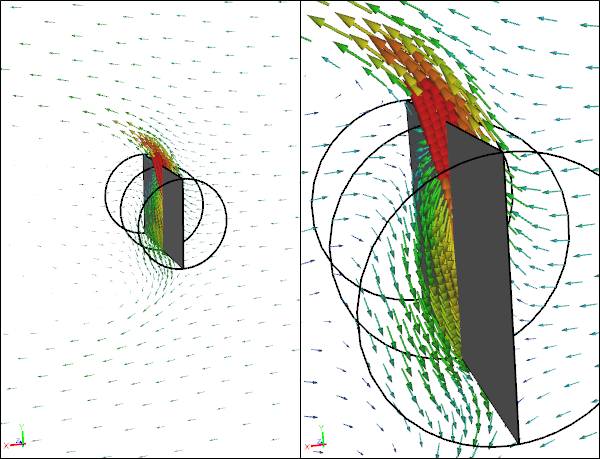 To complete this series of Computational Fluid Dynamics (CFD) on simple rotating paper wings, we now turn our attention to the walkalong tumblewing. Although a sheet of paper can be made to fly by spinning, it isn't always reliable. By adding winglets and flaps with 4 simple folds we can improve the stability of the wing and in so doing produce a tumblewing. How do the aerodynamics of a tumblewing compare with a sheet of paper? It just so happens Computational Fluid Dynamics (CFD) can help, just as it did with the simulation of the spinning sheet of paper. I don’t think anyone would argue with the fact that paper airplanes are simple (and fun! ), but what is the simplest paper airplane that can still fly? I give you a single rectangular piece of paper without any folds that will gently spin around its longest horizontal axis if released with a long edge parallel to the ground. Next, what is the simplest Computational Fluid Dynamics (CFD) method that can capture the essence of the spinning paper? 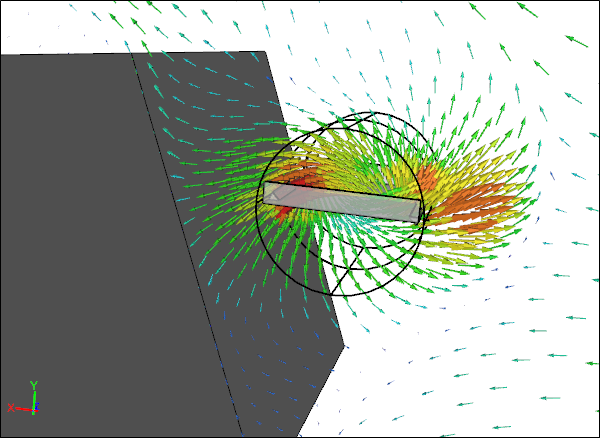 I give you the Moving Reference Frame (MRF, also known as the frozen rotor method) option for CFD. Combine the two and you arrive at an interesting simulation of a simple phenomenon. 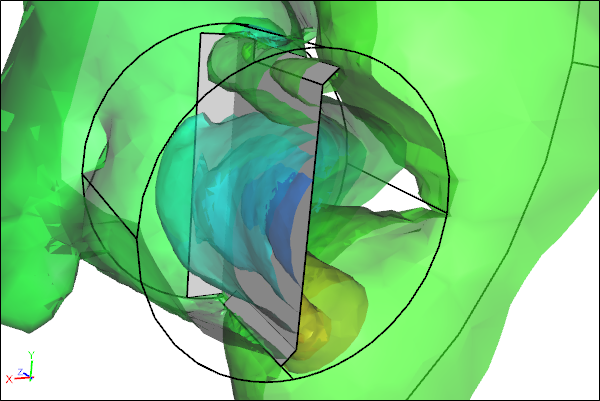 New to Computational Fluid Dynamics (CFD)? Then you've come to the right place. 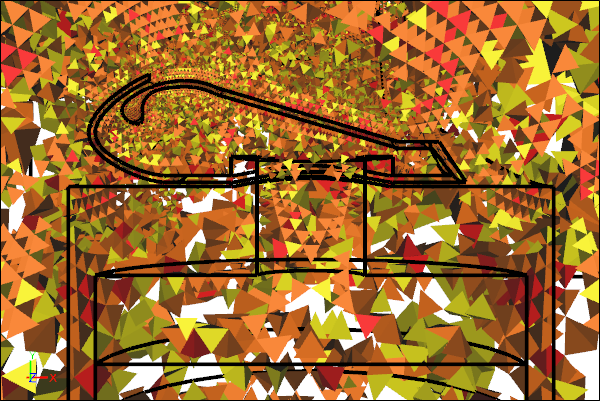 Becoming productive in CFD can be a daunting task. However, as with all long term goals, if you break it down into smaller, achievable tasks, in no time you'll be up to speed and ready for production level work. Assuming you are familiar with the fluid dynamics of your application, then let's begin. Based on the inquiries we receive concerning Caedium and our business model I thought it would be useful to share the most common clarifications. Also you can find answers to common questions in our FAQs. Don't see the clarification that you seek? Then feel free to ask your question in the comments below. It used to be that to design and build a flying machine was an expensive endeavor, what with pilots, wind tunnel tests, prototypes, etc. Not any more though - welcome to the brave new world of Unmanned Autonomous Systems (UAS) or Unmanned Autonomous Vehicles (UAV) or, more popularly, simply drones. How did we get to this point and where is it going? 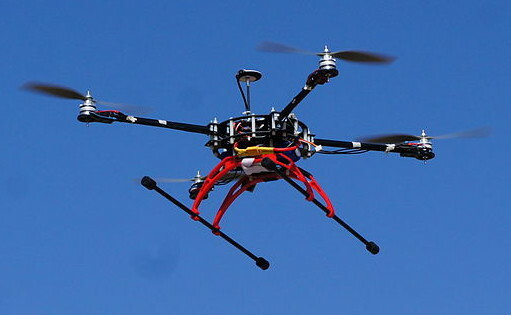 What role, if any, will Computational Fluid Dynamics (CFD) play in this drone future?